This past Wednesday marked the first day of spring and already I have sprouts starting in the garden and buds forming on my magnolia trees. This winter seemed incredibly long, mostly because I feel like I was sick for 75 percent of it! As the days are getting longer and the weather is slowly getting warmer we can only get excited about spring flowers. We always try to shop local and that means looking at seasonal flowers for our region. We have selected three of our favourite spring flowers to highlight on the blog today! Ranunculus: This flower is an all time favourite of ours. 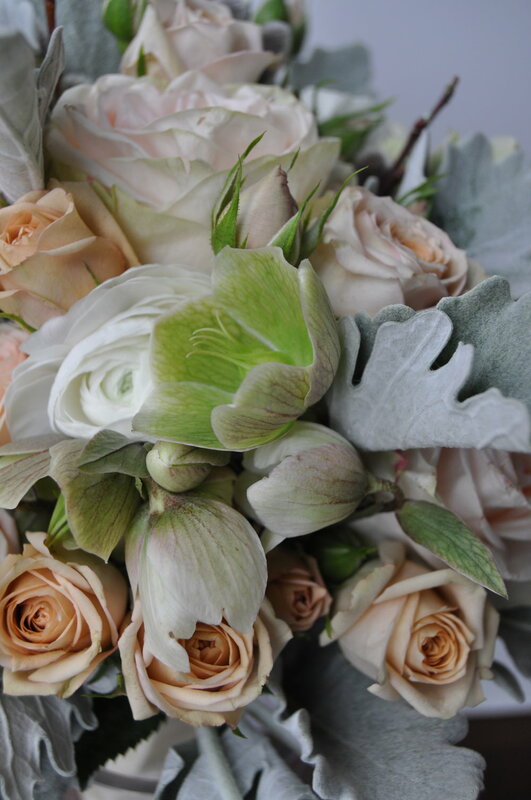 With soft feathery petals, ranunculus are a sweet delicate looking flower. Not only do they come in a variety of colours, but also different textures. Butterfly ranunculus for example feature a number of different flowers on each stem. They also have a more open face and thin petals that “flutter” in the breeze. Helleborus: Sometimes referred to as the ‘Christmas Rose” or ‘Winter Rose’ this plant begins blooming in the winter and continues into the spring. With a unique colouring, hellebores are most commonly seen in shades of green, white and burgundy. With a distinct 5 petal head, hellebores are sure to wow in any arrangement. Anemone: This flower truly makes a statement with it’s contrasting ‘eye’ catching center. Most commonly seen in white, anemones are also available in shades of pinks and purples. It is no surprise that this flower is a symbol of protection against evil. What are some of your favourite spring flowers? 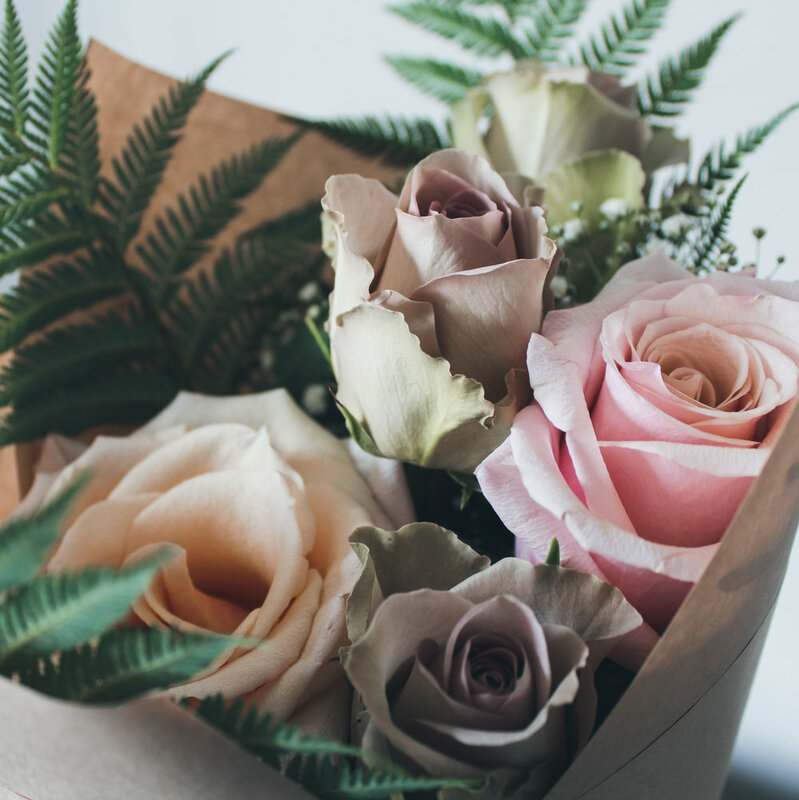 Flower Bunch Subscriptions are back! We are beyond excited to announce that bunch subscriptions are back by popular demand! After a brief hiatus, we are re-launching our awesome monthly bunch flower subscription service in Toronto. This service is a wonderful way to enjoy fresh flowers each month and support a local business. Each bunch is carefully designed and curated with a focus on locally grown Ontario flowers as well as what we grow in our own gardens seasonally. Give it as a gift, or gift to yourself! Each month Burlap & Lace Florals will be supporting a local or Canadian charity that speaks to our sustainability platform and promotes positive communities. It’s a small way we can give back, and you can feel good about it too! We are also launching ‘Pick-up Locations’ across the city. We have carefully chosen some awesome community hubs to partner with as our subscription pick-up locations. Step in and enjoy your neighbourhood and connect with a small local business, we love supporting them and know that you will too! Our first subscription bunches will be ready for pick-up on Thursday March 27th. Make sure to sign up for yours here! Additional details regarding subscription dates and a complete list of our pick up locations can be found at here. Burlap & Lace is proud to support Friends of the Earth Canada. A portion of our bunch subscription sales go directly to this incredible organization that is doing so much important work to take action and protect our environment. Have a look at all the work they are doing and become a friend of the earth! Do you know a local charity that we can featured next month? Send us an email and let us know about your great organization!